there are many MOCs based on the Lego Mindstorms (e.g. 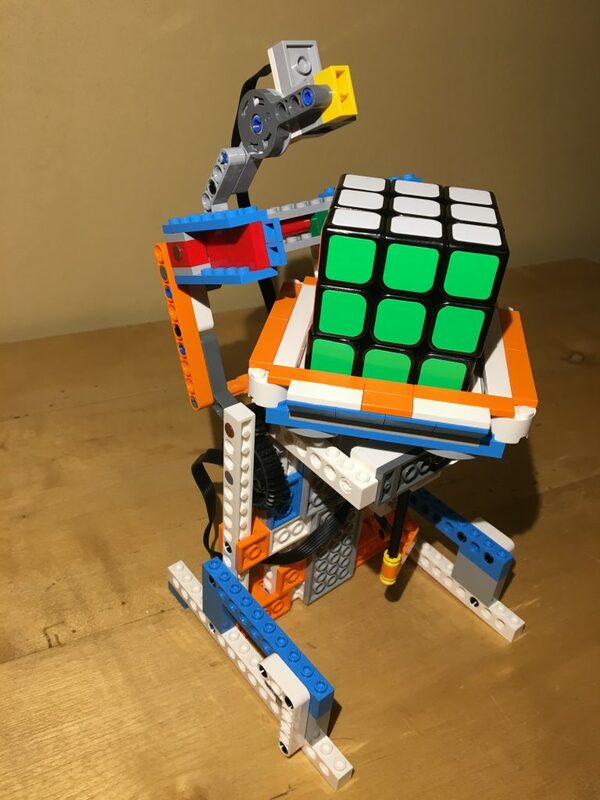 NXT, EV3) sets available to tackle the Rubicks Cube. I thought it must be possible to also do it with the Lego Boost 17101. My first attempt to build the mechanics purely out of the bricks provided with the 17101 Creative toolbox set failed. The set is just missing enough structural elements to do it. After my son got the Arctic Scout truck (60194) I started my second attempt. The resulting MOC is quite compact and does not follow the popular concepts used by most of the mindstorms-based machines. The trickiest part is actually the positioning of the color sensor. It has to be less then 5mm away from he surface but should not hit the surface has otherwise there won’t be enough light. Furthermore, when tilting the cube the sensor has to be out of the way. After a few updates to the mechanics I had developed a way to move the sensor up and down depending on the air position. However, the sensor is just not accurate enough to reliably detect the colours on a normal cube. I managed to write a program in python and control the MOC via an raspberry PI. To make the color sensor work I had to stick some black tape over the orange tiles (the sensor can only detect white, yellow, red, blue, green, and black) and had to stick some easier to detect yellow and green tape over these tiles. With these modifications, the Cube Booster was able to autonomously solve the cube but the reading is just too unreliable to offer this program for download. 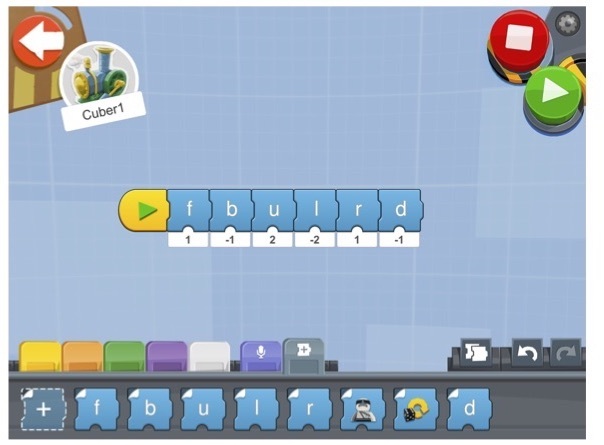 In the current version of the instructions (available on rebrickable.com) the current state of the cube is to be manually entered into a cube solving website and the resulting solution is to be coded into the APP.